From Proto Polynesian *Hongohongo Laportea interrupta (Urticaceae), and other stinging plants. There is also a possible but unlikely connection with Fijian Soga	Metroxylon vitiense, "Fijian Sago Palm" (Arecaceae); see the notes on the Proto-Polynesian reconstruction. Lake Waikaremoana. Photo (c) John Sawyer, NZPCN. 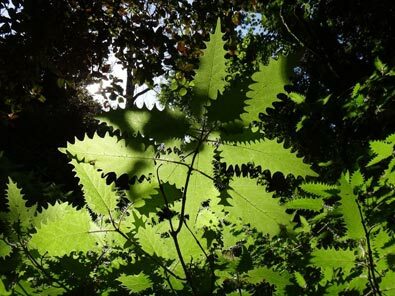 There are no other plant names connected with this word, but Central Eastern Polynesian Ongaonga, "a biting insect", is clearly linked with it metaphorically, and is the origin of Māori ongaonga, "sandfly". Note: See the linked pages (highlighted at the top of this page) for more information about the ancestral names, their modern descendents, and the plants they denote. Watch this space! This page is still under construction, but contains the essential linguistic and botanical information, as well as a gallery of illustrations. More text and possibly some more pictures will be added progressively as soon as time permits. See the "News" for February 2016 for more information. 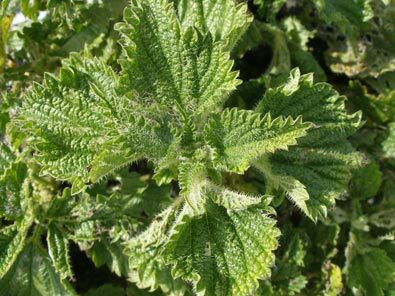 This word in Māori, as in other Polynesian languages, refers primarily to stinging plants of the nettle family (Urticaceae); in Māori ongaonga refers particularly to the well-named Urtica ferox, the truly ferocious tree nettle. 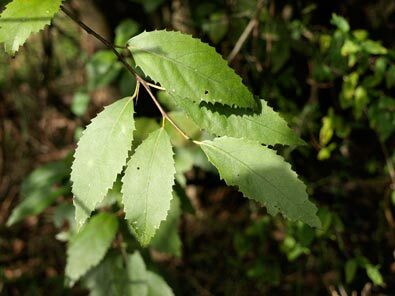 In Māori it is also an alternative name for the houhere, Hoheria populnea, undoubtedly because of the serrated leaves which are highly reminiscent of those of many species of Urtica, although fortunately devoid of the stings. For the red and yellow admiral butterflies, Vanessa gonerilla (endemic to NZ) and V. itea (also found in Australia), respectively, ongaonga have the role of swanplants for monarch butterflies -- the sine qua non of their diet during the caterpillar stage. Intensive farming has greatly reduced the availability of this food source, and with it the abundance of these butterflies. 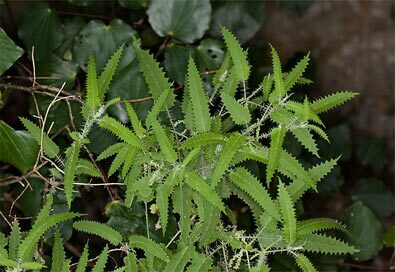 Their favourite food is the formidable Urtica ferox, the ongaonga par excellence, a small tree which has caused the death of a few people unfortunate enough to fall into its embrace, but they also dine on U. sykesii and some other native and introduced species of nettle. References and further reading: See linked pages and general works on NZ trees and plants in the bibliography. 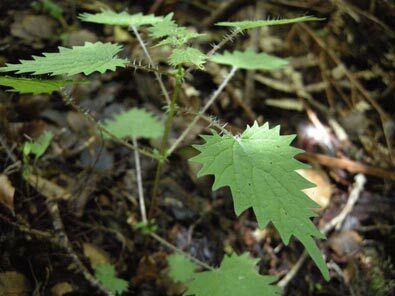 The NZ Plant Conservation Network site has pages on Urtica ferox, U. sykesii, and U. australis. 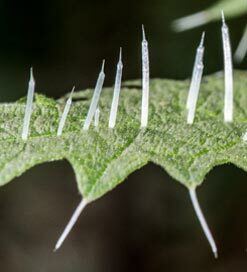 Photographs: We are grateful to Jesse Bythell, Jeremy Rolfe, Mike Thorsen, and the late John Sawyer of the NZ Plant Conservation Network for allowing us to use their photographs of various Urtica species (attributions are with the photographs). Houhere and yellow admiral, R.B., Te Māra Reo.